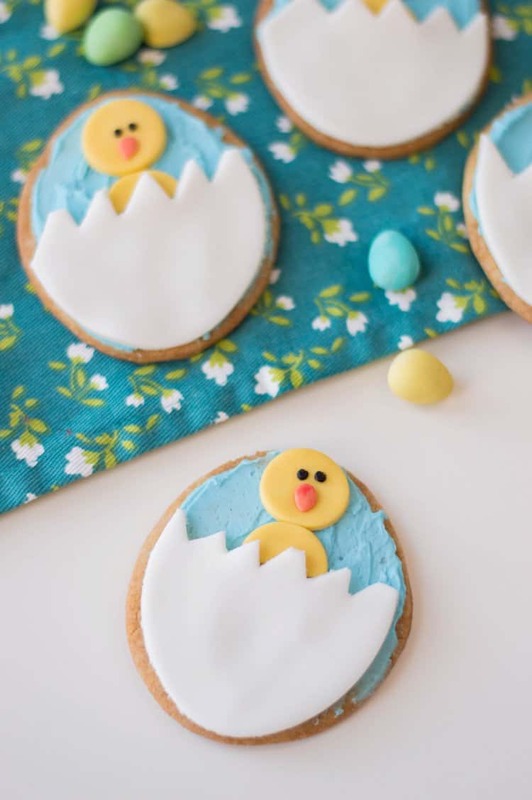 Aren’t these Hatching Chick Easter Egg Cookies the cutest thing? My children absolutely love to decorate sugar cookies for Easter. 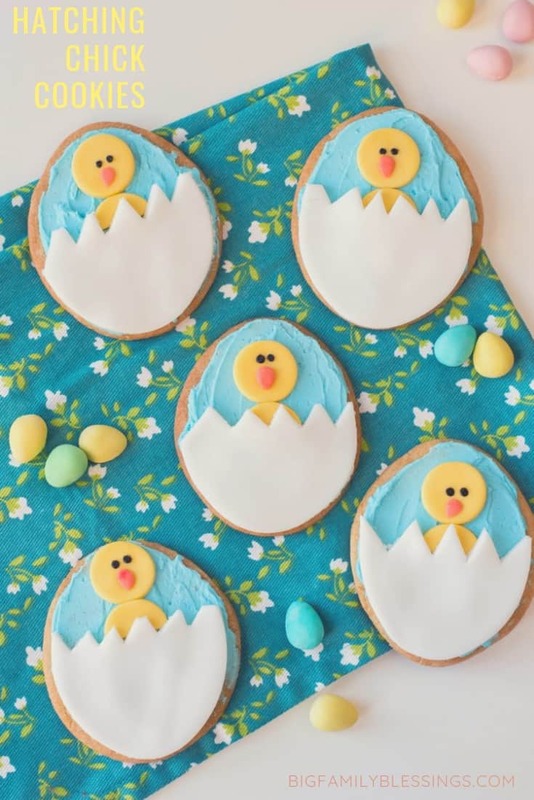 Usually we do the traditional cutouts with royal icing, but this year we had to try these Hatching Chick Easter Egg Cookies. They really aren’t any more difficult than traditional decorated sugar cookies, thanks to store bought fondant icing and using simple shapes cut from the fondant. Prepare the dough for your sugar cookies according to your recipe’s directions. Roll out the dough so that it’s about ¼ of an inch thick. 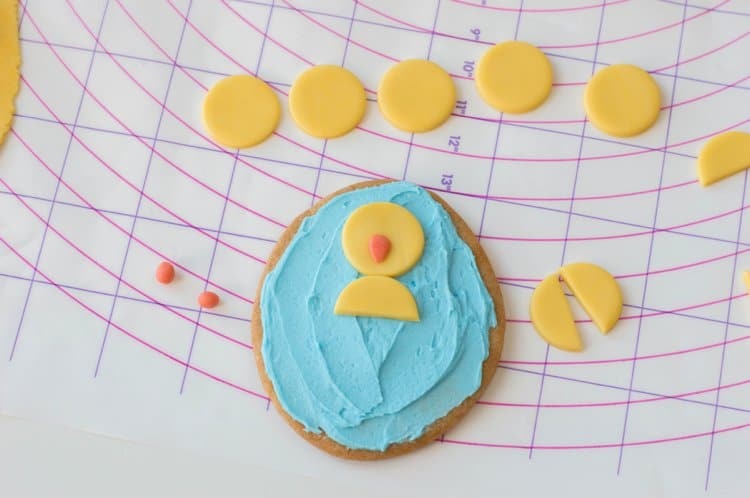 Cut out 12 egg-shapes using an egg-shaped cookie cutter (about 3 inches in height and 2 inches at its widest point). Bake according to recipe’s directions and allow to cool. Use an electric mixer to beat together butter, icing sugar and milk. 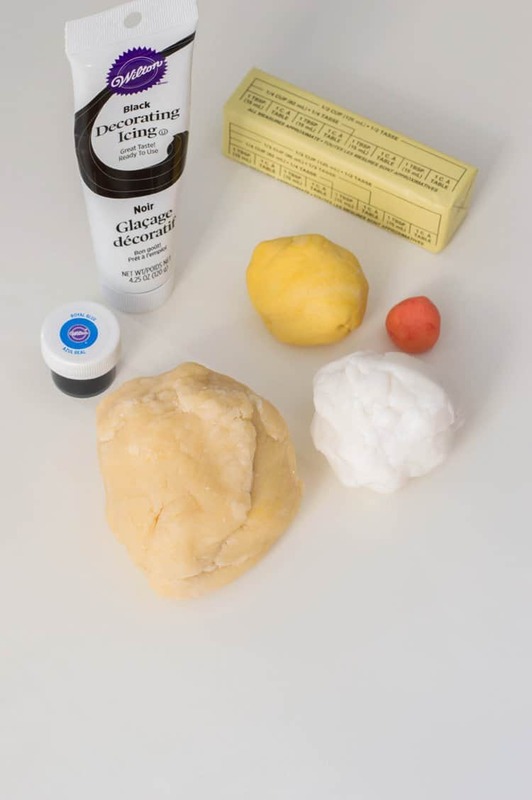 These ingredients will make up your buttercream. 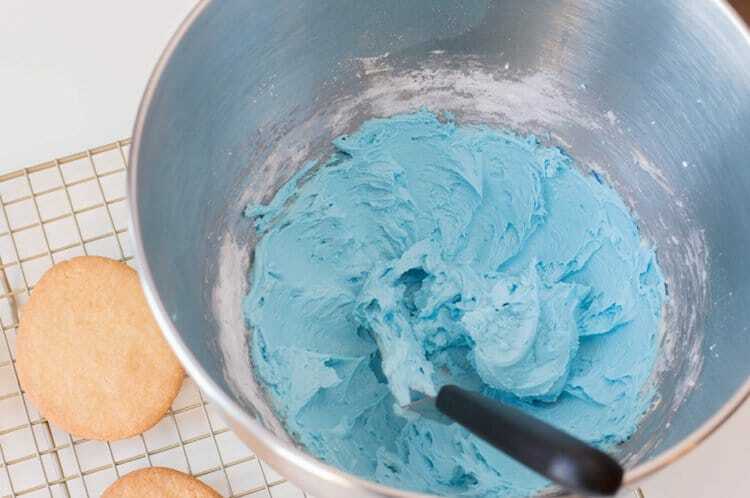 Once the ingredients are well-combined and smooth, add blue gel food coloring and mix until completely tinted. 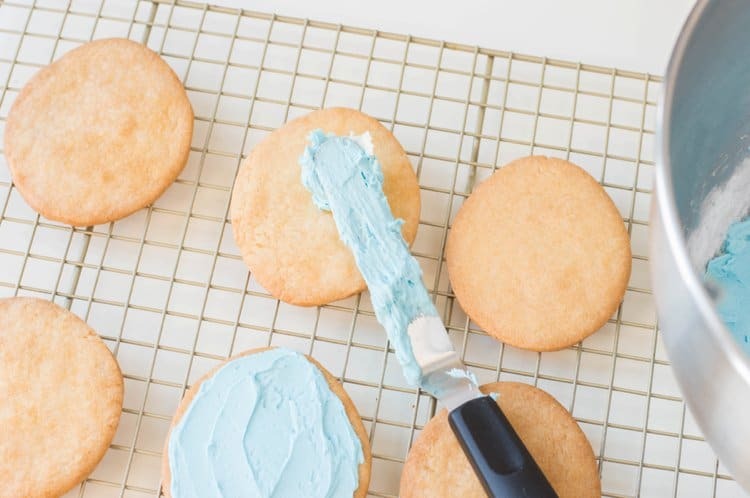 Use an offset spatula to frost each cookie. 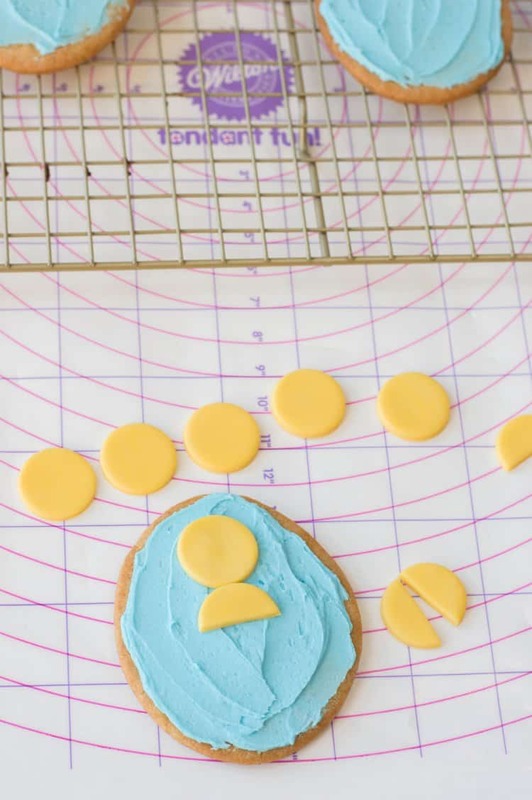 Roll out your yellow fondant so that it’s ¼ of an inch thick. 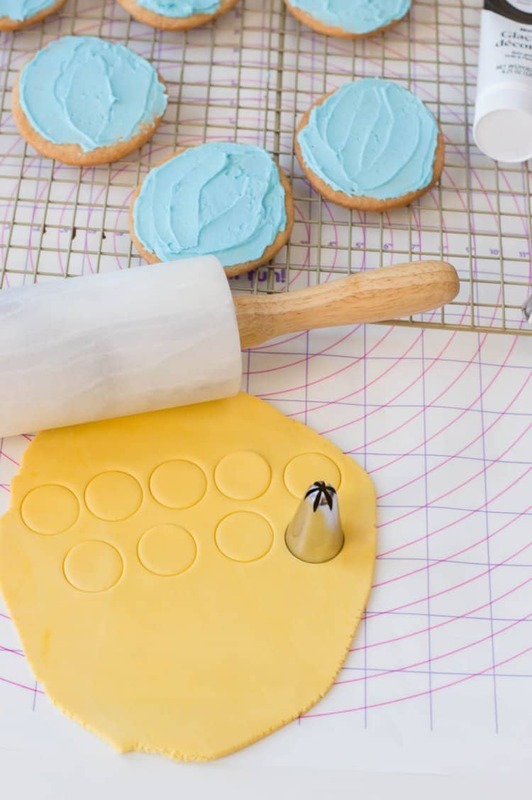 Use a circular cookie cutter that’s about 1 inch in diameter (we used the bottom of a large icing tip) to cut out 18 circles. 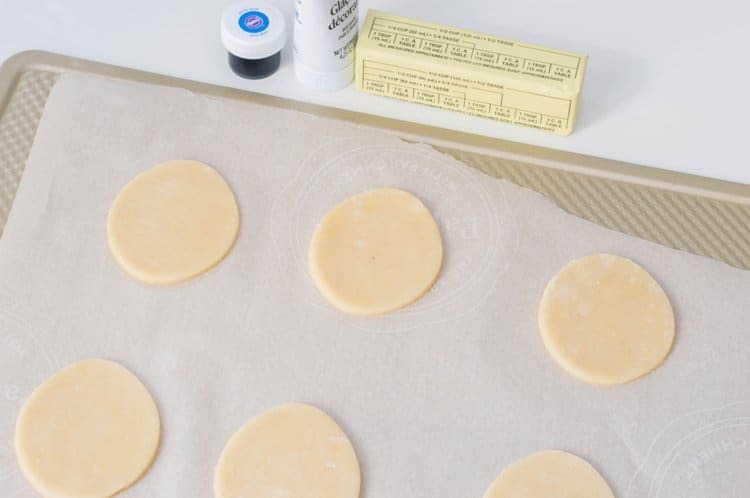 Cut 6 of your fondant circles in half. 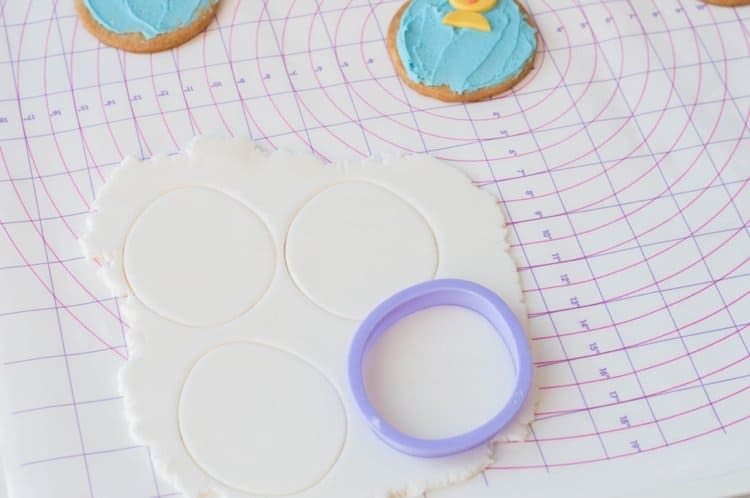 Place one fondant circle and a half circle towards the top of your frosted cookie. Roll out 12 small spheres from your orange fondant. Flatten each one and point one end. These will act as your chick’s beak. Press one beak in the center of your chick’s head. 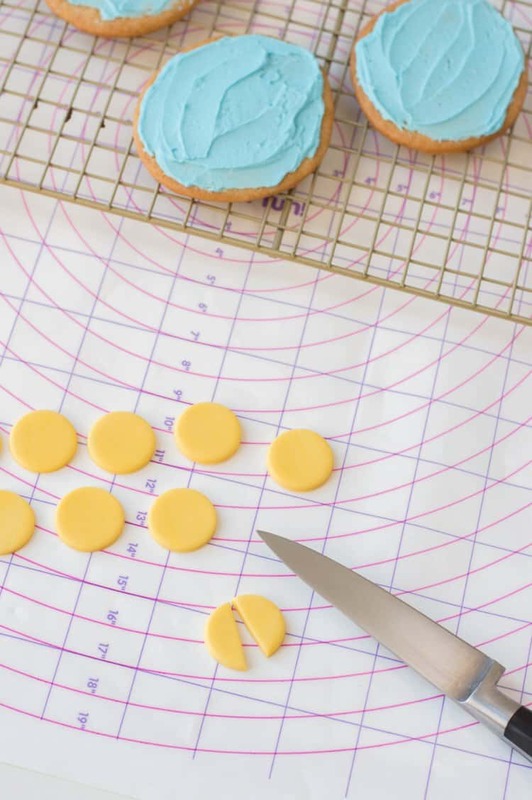 Roll out your white fondant so that’s about ¼ of an inch thick.Cut 12 egg shapes with the same cookie cutter you used to cut the cookies. Trim the top of each fondant egg with a paring knife. Cut out triangular shapes on top of the egg portion and then place one on top of each cookie. Serve and enjoy! Adorable! 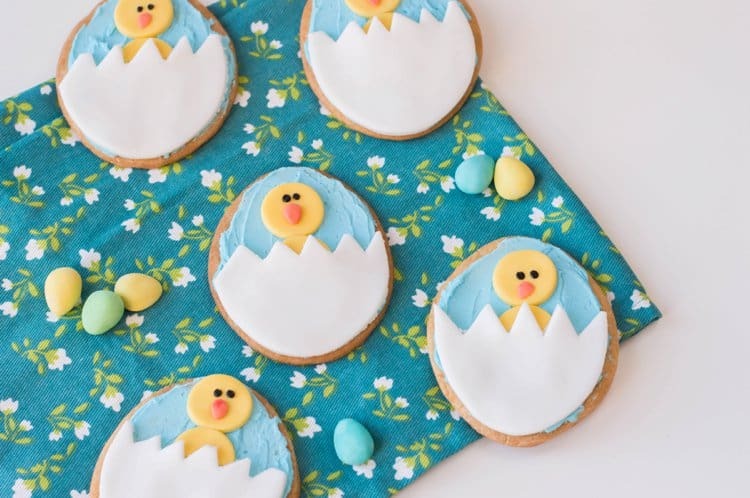 These Hatching Chick Easter Egg Cookies will be the perfect addition to your next Easter gathering!